This is home for me. 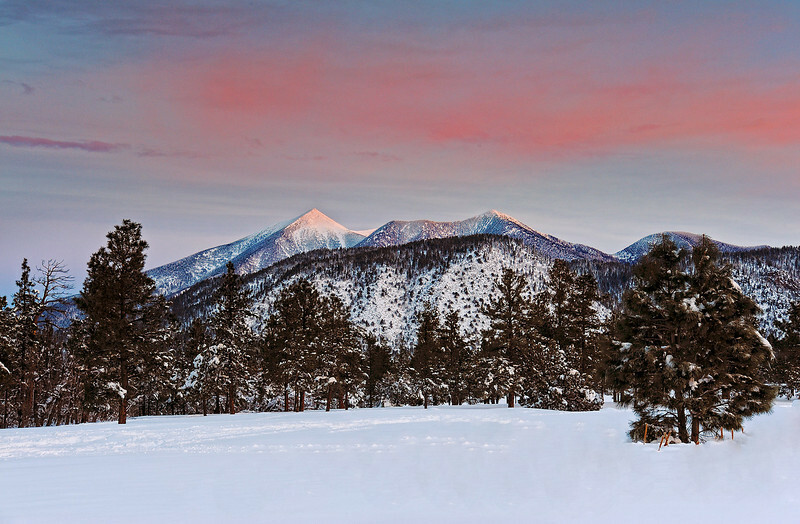 The elevation here in Flagstaff is about 7000 feet, with the San Francisco Peaks rising to over 12,600 feet along the outskirts of town. Spectacular mountain scenery, the worlds largest Ponderosa Pine Forest, numerous Aspen groves and 1000 year old ruins make the Flagstaff area a treasure chest of photographic opportunities. "CALM AFTER THE STORM" (Flagstaff, AZ) - Sunrise in Buffalo Park, a city park that is just a few blocks fro where I live.